Owner of Lil Rae Cakes. Creator of Phyllis Herman. Photographer. Artist. And beyond. 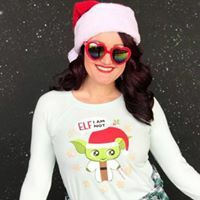 Born in Florida and raised in Southern California, Jenny Rae is known among her friends and fans for her passionate drive, bubbly personality, magical imagination, and eccentric themed outfits. She is a baker, photographer, art director and artist.